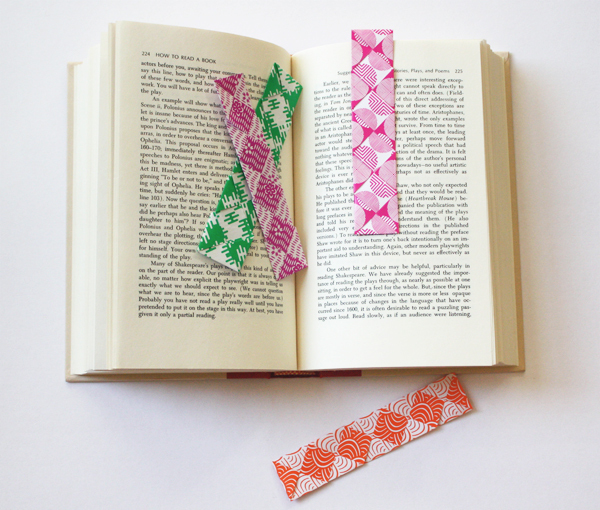 I made these simple little woven bookmarks during my lunch break. Follow the directions at make-origami.com. 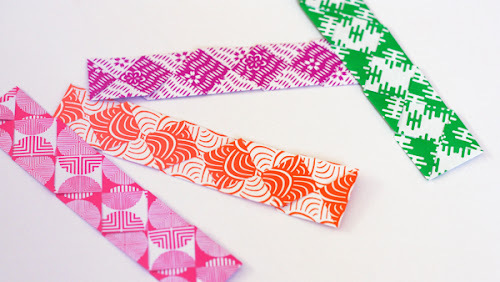 I cut two 3/4" wide strips from a piece of 8 1/4" double-sided square origami paper and taped the short ends together to make a long, skinny strip. Then I followed the directions. Cute! Meanwhile you were finding out how to read a book?! Yes. I tried to learn how to read a book by reading this book, but it was a catch 22. I found it on our bookshelf and thought it was funny. I guess it's Alex's. He's still working on this skill. These are really cute! I love how the pattern looks when woven. Cute! Thanks for sharing this! Can't wait to make one! Which company made the origami paper you used? How cute! I posted earlier this week about easy bookmarks, too, but I'll have to give these a try! Ahhh! 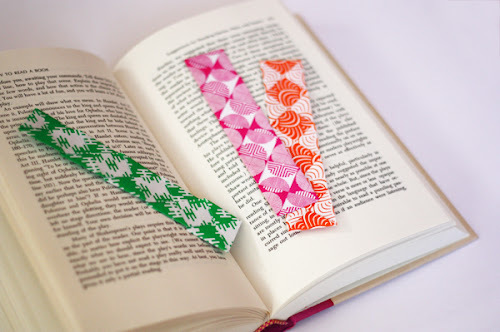 I LOVE these and was just posting somewhere else that I wanted to make some cute bookmarks! These are perfect. Oops, I missed your question earlier, Anonymous. The paper is made by Tuttle. I got it from Amazon.